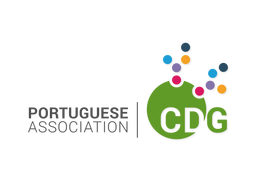 The CDG road: from diagnosis to therapies! Lisbon, Portugal - 26 and 27 July 2019. 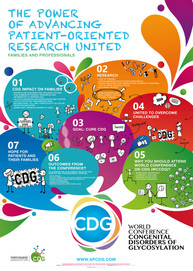 It is with great pleasure that we invite you to the "4th World Conference on CDG: The CDG road: from diagnosis to therapies" planned to be held in Lisbon, Portugal - 26 and 27 July 2019. Here you will find all the information you need about the experts who will be sharing their knowledge and expertise with ALL at the 4th World Conference on CDG. Taking into account the genesis of this Conference, among speakers there will be: Clinicians, Health Professionals, Researchers and Families so that every VOICE is heard and every CDG Community stakeholder is effectively represented. In this section you will have access to the speakers biographies, in case you would like to learn more about their professional and personal paths. We would like to express our appreciation to the speakers, as well as to the invited chairs for their careful preparation of the invited sessions. The preliminary agenda is available HERE. This page is dedicated to the various experts: Physicians, therapists, nurses, researchers,parents and all other Professional who will be the 4th World Conference on CDG Speakers. It is our pleasure to introduce them to YOU - Meet them! This Conference is organized in collaboration with the European Reference Network for Rare Metabolic diseases - MetabERN (know more HERE)? in collaboration with the Applied Molecular Biosciences Unit (UCIBIO) and the Faculty of Sciences and Technology of the Nova University of Lisbon (FCT-UNL) - know more HERE. with the endorsement of the Portuguese Society of Metabolic Diseases (SPDM) and of the Society for the Study of Inborn Errors of Metabolism (SSIEM) - know more HERE and HERE. The instructions for the speakers and moderators will be available soon! Join us on Facebook and be updated on the "4th World Conference on CDG: The CDG road: from diagnosis to therapies" will be held in Lisbon, Portugal - 26 and 27 July 2019.